The Wright Wreport: GKFW: Tiffany & Trent Need Proper Threads, Right? GKFW: Tiffany & Trent Need Proper Threads, Right? Missoni AW 2013. Photos by Ian Gavan/Getty Images. GET ‘em while they’re young. And guess who’s doing the gettin’: names like Gaultier, Chloe, Cavalli, Fendi, Missoni, Marc Jacobs and nearly a score more. 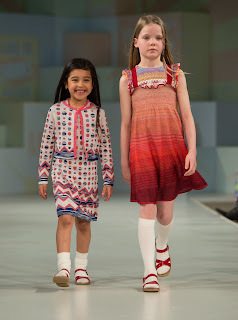 While much of the fashion world may have been recovering from the grand slam of fashion that ended in Paris a couple of weeks back, the aforementioned brands spent the last couple of days in London participating in what has been promoted as the first ever Global Kids Fashion Week or GKFW. Besides, why – the answer seems pretty obvious – another apt question may be whether GKFW will have an edition at New York, Milan and Paris like its adult counterparts. 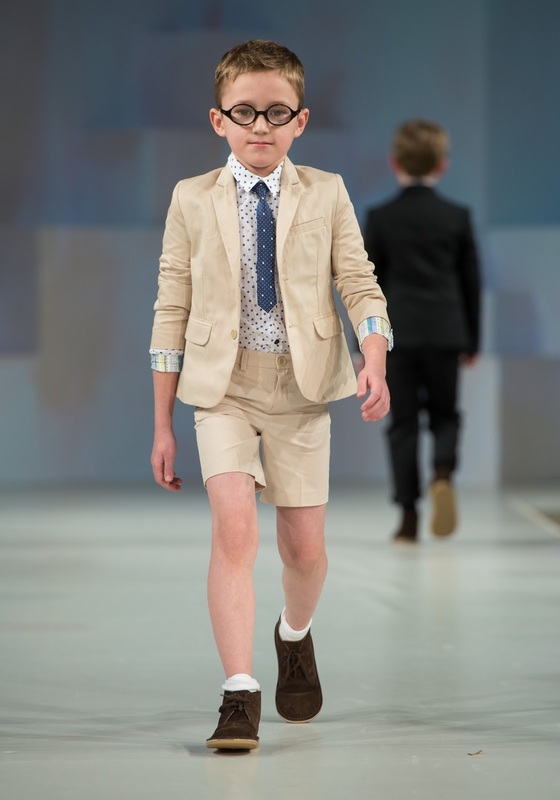 Over the last couple of days kiddos took to the runways in ensembles from the Autumn/Winter 2013 collections of the aforementioned and others, including Paul Smith Junior and Anne Kurris. Also represented were emerging designers. GKFW was a ticketed extravaganza, meaning that tickets were for sell; the adult shows are free and invitation-only. Ticketholders not only bought their way into the shows, but had access to kid-friendly parties, performances and playful activities. The brains and brand behind GKFW is the online children’s shopping mart, AlexandAlexa.com. The portal used the event to also showcase its Spring/Summer 2013 collections (http://www.bit.ly/q0bYSs). Is the notion of a kids Fashion Week too crass and perverse for words? No doubt, more than a few folk will answer in the affirmative. In any case, Alexandalexa.com founder and CEO Alex Theophanous has given life to some words that make GKFW seem OK.
Paul Smith Junior SS 2013. For those who may have been unsure of the whereabouts of children’s fashion, stay tuned. Happily, the styles on the runway were appropriate rather than kid-size versions of way-too grownup clothes. Proceeds from all GKFW ticket sales will benefit Kids Company, the do-gooder org that helps kiddos in difficult circumstances. That act of kindness should soften the blow of such an affair as GKFW, no?